The role of a product manager is relatively new in the business world, but it has increasingly become one of high impact and visibility. A product manager is most effective when it comes with empowerment and agility. A great product manager owns and plays the role of the CEO of their product domain. They can see the big picture and can intuitively connect all the moving parts to deliver the full solution. However, in my experience, 3 characteristics are critical in setting a product manager apart from the rest of the herd. 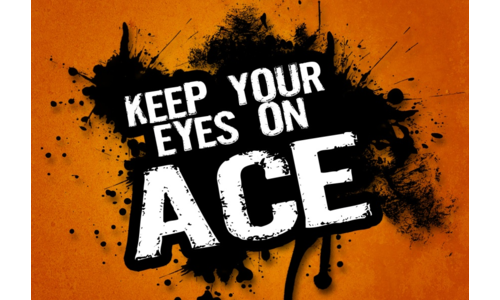 These conveniently form the mnemonic “ACE”. So for the sake of being cheesy, let's just say - adopt these characteristics to become an ace product manager. Most companies focus on being action oriented. Amazon's values include “Bias for action”. However, acting now actually will set you apart from all the other product managers in your circle of influence. After meetings, or with correspondence, I strive to take the action right away. A great product manager is not overwhelmed by their queue but rather motivated by it. Start tackling it right away. Keep yourself organized so that you will not miss an opportunity to follow up or miss an action. You should be striving to attain a reputation of someone who gets things done fast, and properly. Axon's 2019 theme is to Act Now and the leadership has extended this theme to all employees. Now, Axon did not just say “Act Now” but actually empowered the employees with an organization design that enables them to take actions easily and quickly. To be effective with, empower yourself, if your organization does not explicitly do so. Your work and actions will further validate your authority. Start acting now. I believe that approximately 90% of the job of a product manager is to communicate. A great product manager is focused on communicating in all directions: internal, external, up to leaders, across to peers, and down to their teams. They are constantly fine tuning their communication skills. A great product manager is able to understand the complex and technical details and then simplify them for their audience. They are transparent and allow all stakeholders to feel a sense of ownership. This can be done by communicating. Talk about what is going on, what is coming up, what is the vision. When I reflect back each week I realize that I am repeating, or building on the vision with various stakeholders again and again. I over communicate, and that has served me well. However, verbosity should be avoided. Precision is key. Use the MECE technique - Mutually Exclusive Collectively Exhaustive. Your communication content should not be repetitive, and should be complete in its context. Think about each of your interactions, whether active (events, meetings, 1:1, video/audio conferences) or passive (IM, email, text), and run a self retrospective on how you can improve it. Finally, think about the audience and ask yourself, why will they care about what I am saying and tailor your communication accordingly. A great product manager strives to be more and more empathetic. The product manager can imagine themselves as their users and customers and can intuitively put themselves in their roles to predict their needs and challenges. Empathy is important in all parts of your life, but as a product manager it sets you apart. You are the internal voice of the customer, and your decisions on the product are celebrated by your customer due to the empathy you practice. Your empathy will lead you to be right often. At Axon, we help people become more empathetic towards our customers by encouraging them to participate in ride-along programs. We even have employees use the products we create in their day to day life. We offer opportunities to go through similar training that the officers go through as related to our products. A great product manager will act or communicate empathetically, and their team will increasingly trust their decisions. Learn from your interactions and whenever you meet with your customers, imagine yourself in their position and see what their motivation is, and their needs are. Become your customer - figuratively. I would encourage you to reach out and share your stories. What other characteristics you think might further help each of us become better product managers. Connect with me on LinkedIn: https://www.linkedin.com/in/shah-kevin/ so we can learn from each other.